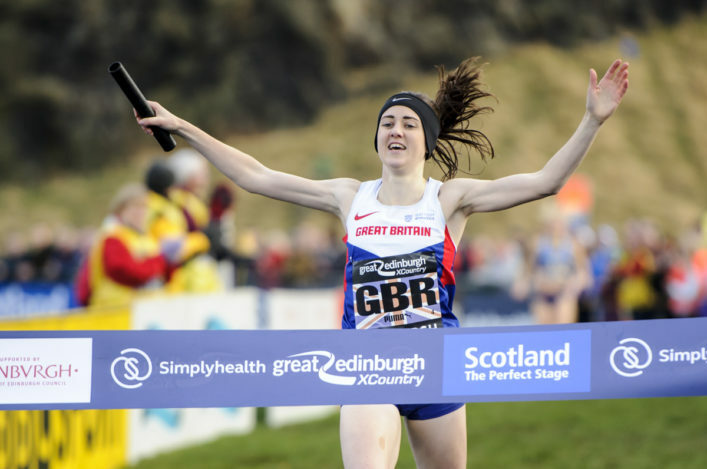 Laura Muir will race for GB and NI at the Great Edinburgh XC next month – with three other female Scottish athletes selected for Holyrood Park. 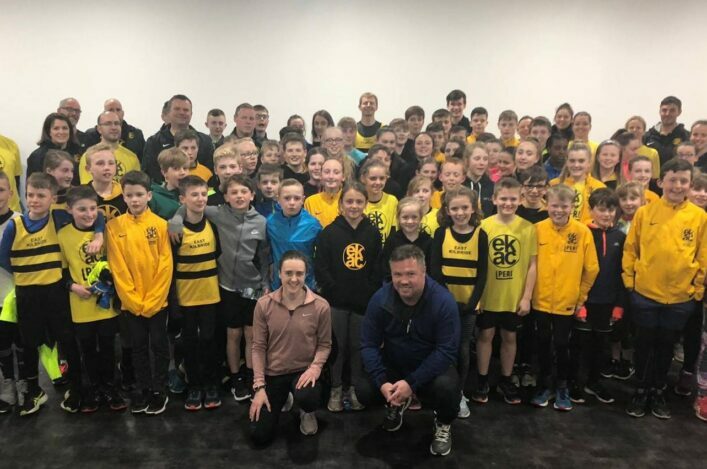 Double European Indoors gold medallist Muir will once again look to bring home the baton in the 4 x 1K International Mixed Relay race where she has been a winner for the past two years. Joining Laura in representing GB and NI in the Scottish capital on Saturday 13 January will be Mhairi Maclennan in the Senior Women’s race and Erin Wallace and Eloise Walker in the Junior Women’s race. 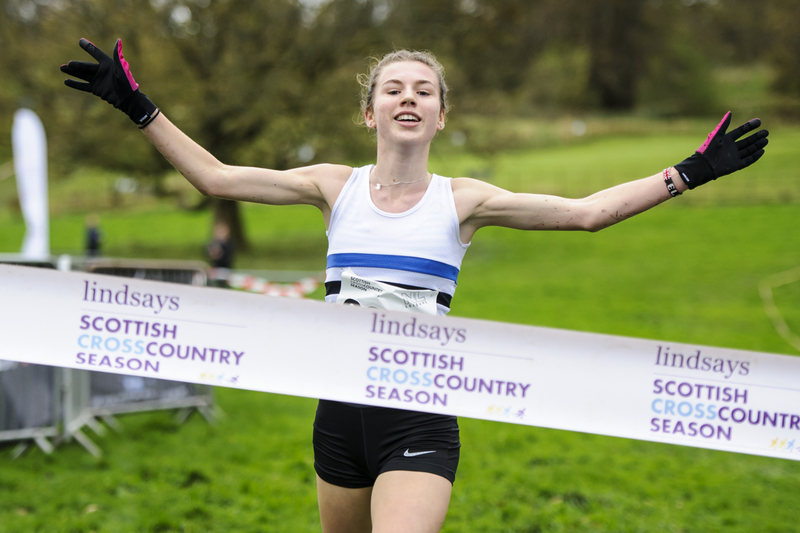 It is a special moment for Edinburgh AC youngster Eloise, the Scottish Short Course champion at Kirkcaldy last month and a regular medallist in the age groups, as she gets ready to make her international bow for GB while not yet 17. 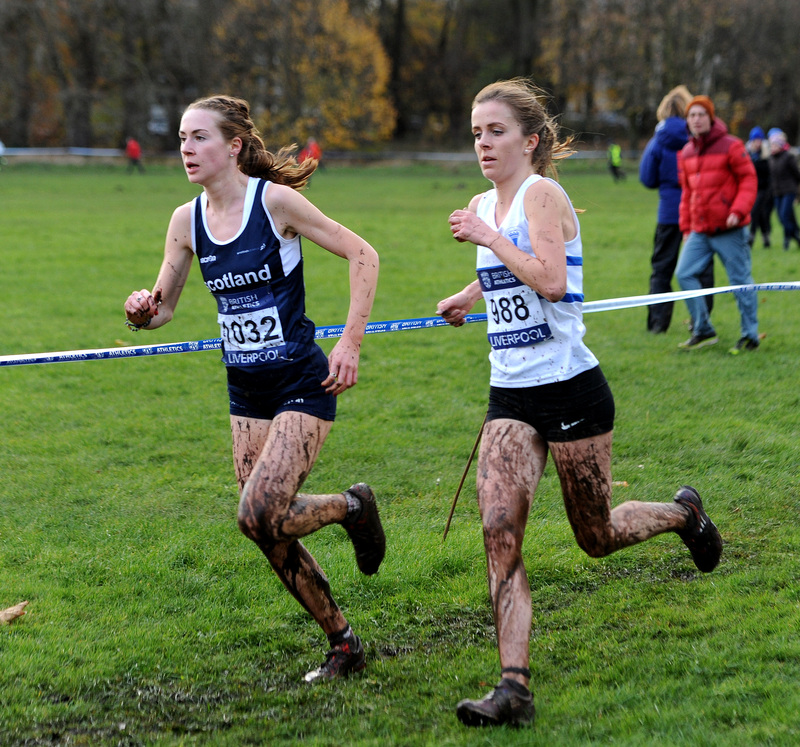 Inverness Harriers/Edinburgh Uni Hare and Hounds athlete Maclennan, who like Walker is coached by John Lees in Edinburgh, steps up to Senior level for the first time after helping GB to team gold in the Women’s U23 race at the Euro Cross in Slovakia last weekend on her debut at this level. Giffnock North athlete Wallace, who is coached by Dudley Walker, was selected for the Euro Cross but had to withdraw with an injury which both athlete and coach are confident will clear soon in order to prepare for January 13 – with Erin having raced for GB in the same event back in January 2017. Andy Butchart, of course, won bronze in Samorin but will be in America come the new year and with Callum Hawkins similarly not available, there are no Scots in the GB selection on the male side of things; four in a 34-strong team is nonetheless a decent representation. 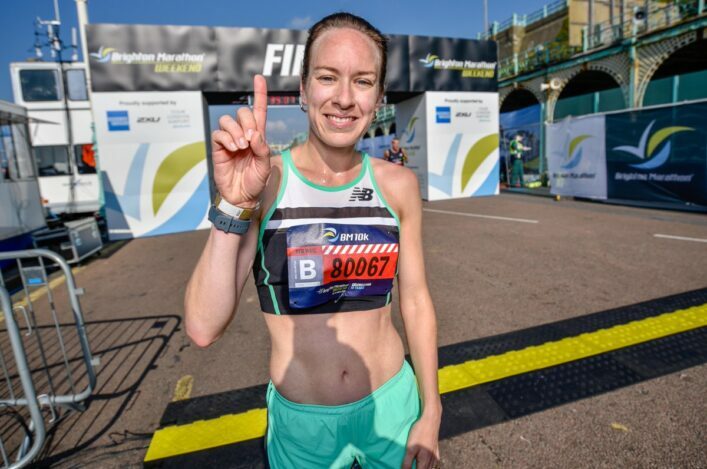 After leading the team to victory in the senior mixed relay in Edinburgh at the start of 2017, Laura once again stars for the British quartet. She makes her fourth successive appearance in the 4x1km relay and has always made the podium. 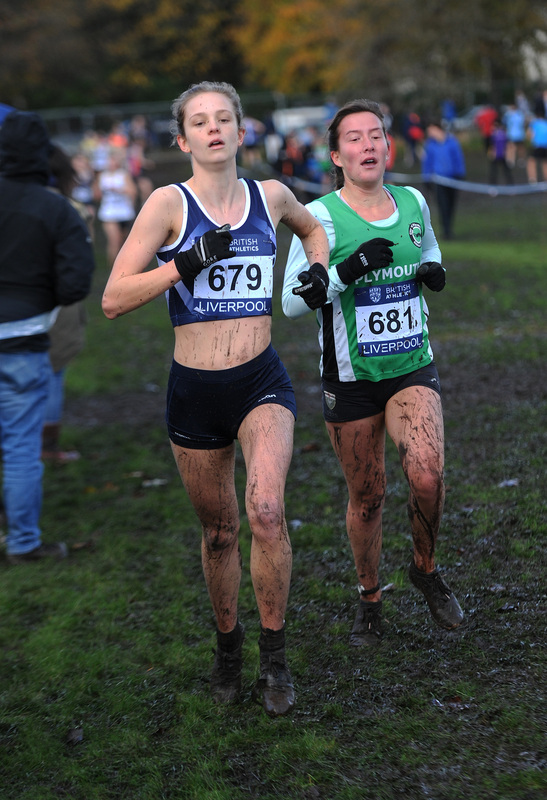 Alongside Muir, Alex Bell – one of nine British senior debutants in the team – is joined by Adam Clarke and Tom Marshall the latter anchored the British team to the first ever European cross country championships gold at the weekend. scottishathletics will field two Scotland teams in this race and we will look to confirm those selections over the next 24-48 hours on here. 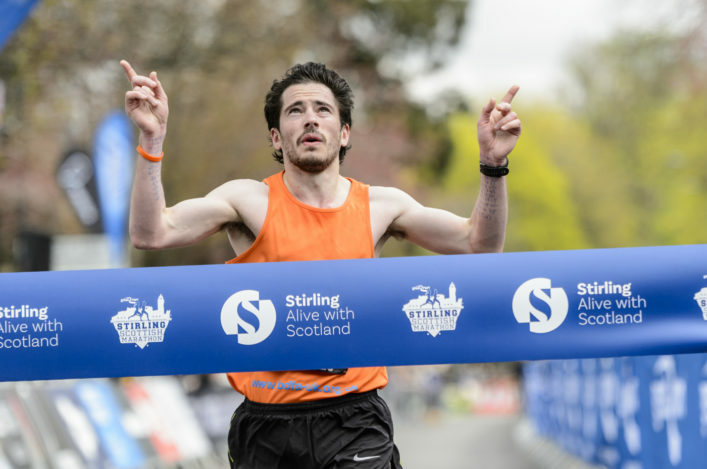 The Simplyhealth Great Edinburgh XC is a team competition pitting the British Athletics team against Europe and the USA, also including an exciting international mixed relay. It takes place once again in Edinburgh’s Holyrood Park and is free to spectate. It will be televised live on BBC One from 1.15pm to 3.15pm on Saturday 13 January 2018.